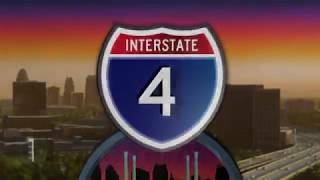 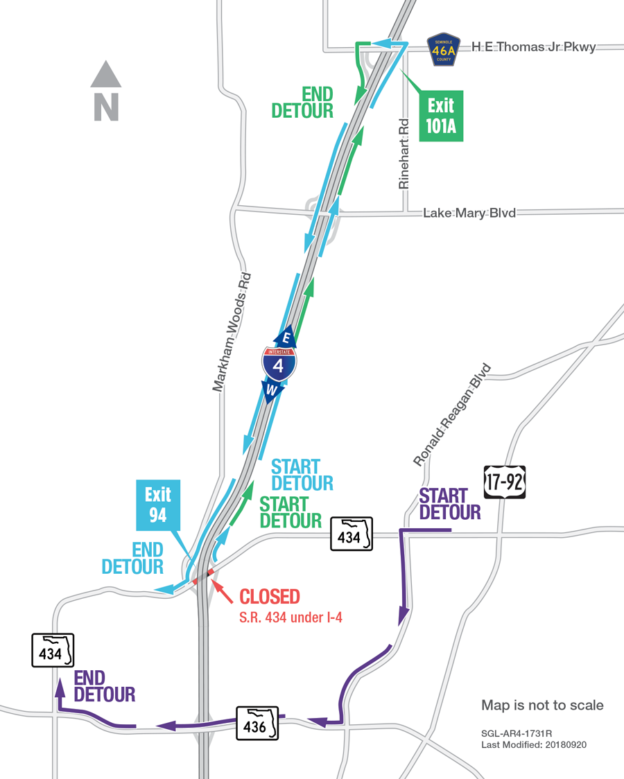 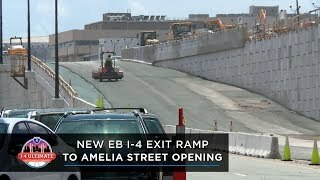 Eastbound Interstate 4 (I-4) at Lee Road and the eastbound I-4 on-ramp from Fairbanks Avenue are closing at 10 p.m. on December 1 and reopening the following morning at 10 a.m. 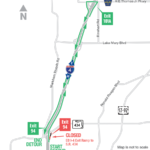 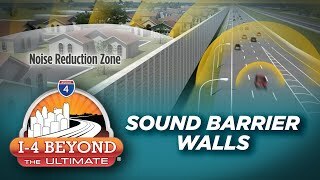 Motorists traveling on eastbound I-4 will use Exit 88 between Fairbanks Avenue and Lee Road. 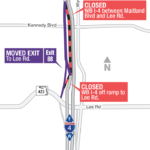 Instead of traveling to Lee Road, motorists will stay in the left lanes to travel over Lee Road and re-enter eastbound I-4. 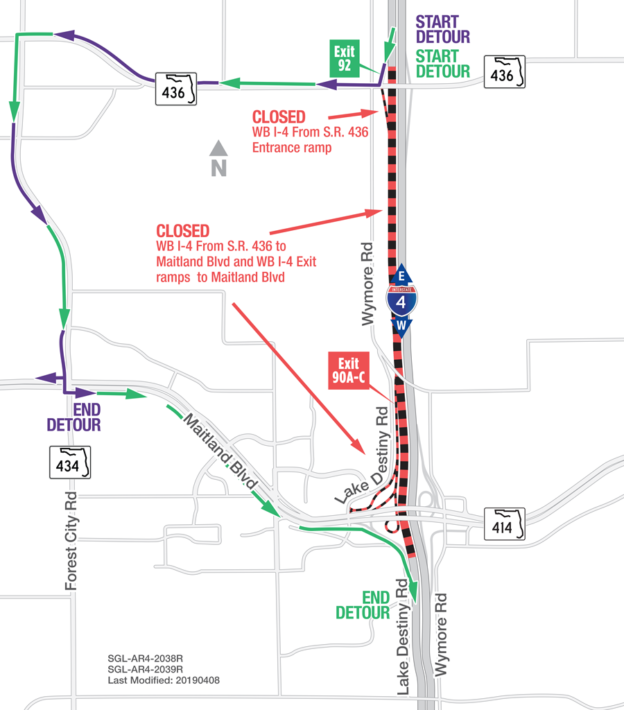 The closure is necessary to accommodate a lane shift. 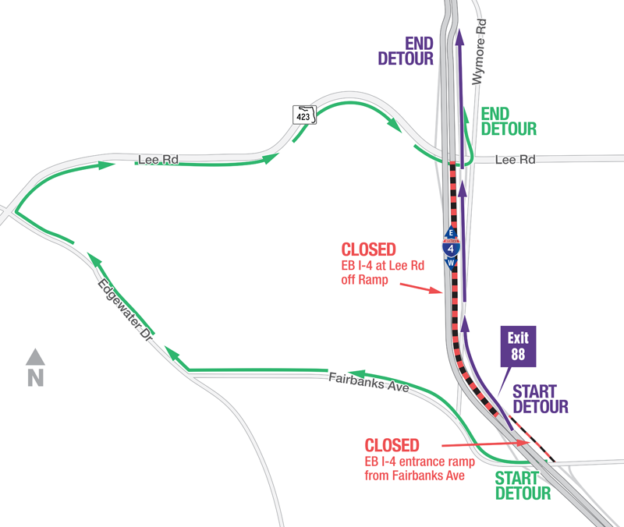 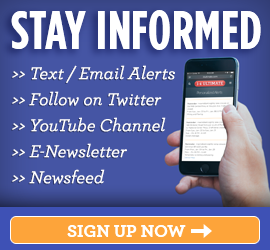 View or download a detailed online map of the closures and detour routes at fdot.tips/ebi4nearlee. 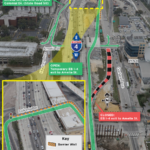 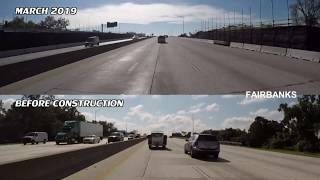 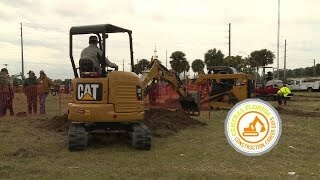 Construction at the Lee Road interchange has been increasing throughout 2018. 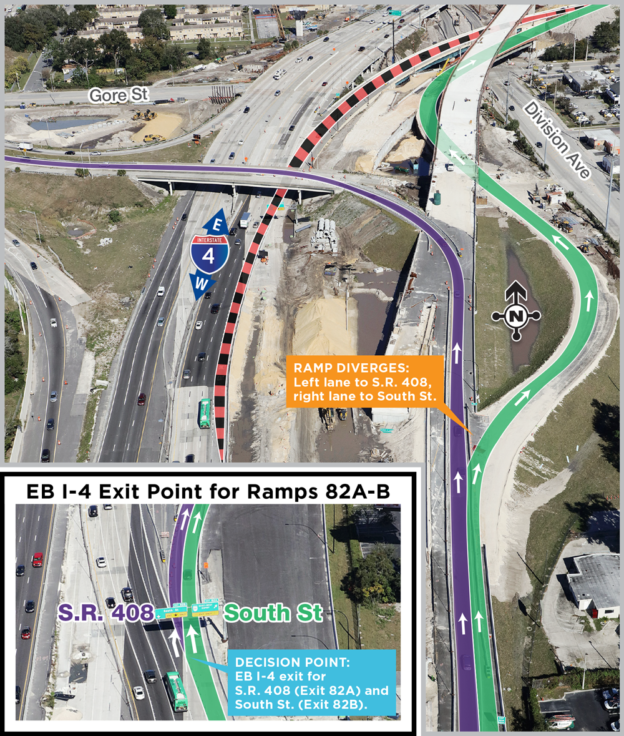 View or download a handout illustrating the future improvements at the interchange and the nearby roadways at: fdot.tips/Lee.